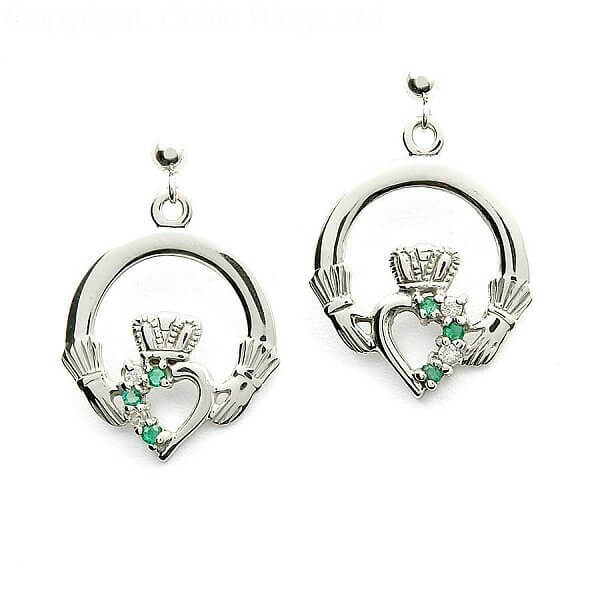 These studded drop-down emerald Claddagh diamond earrings have given a unique design to the Claddagh symbol. 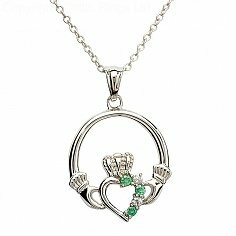 The hands that are normally holding the heart have been used to connect the circle to the rest of the symbol in the center. Not only that but the two diamonds and three emeralds on opposing sides of each earring make these magnificent to behold. The Claddagh symbol on these earrings makes these a great gift for a loved one. 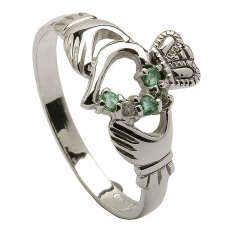 This symbol has played an important role in Irish culture for 300 years. It is a way for couple's to show that they belong together, and it means love, friendship and loyalty.